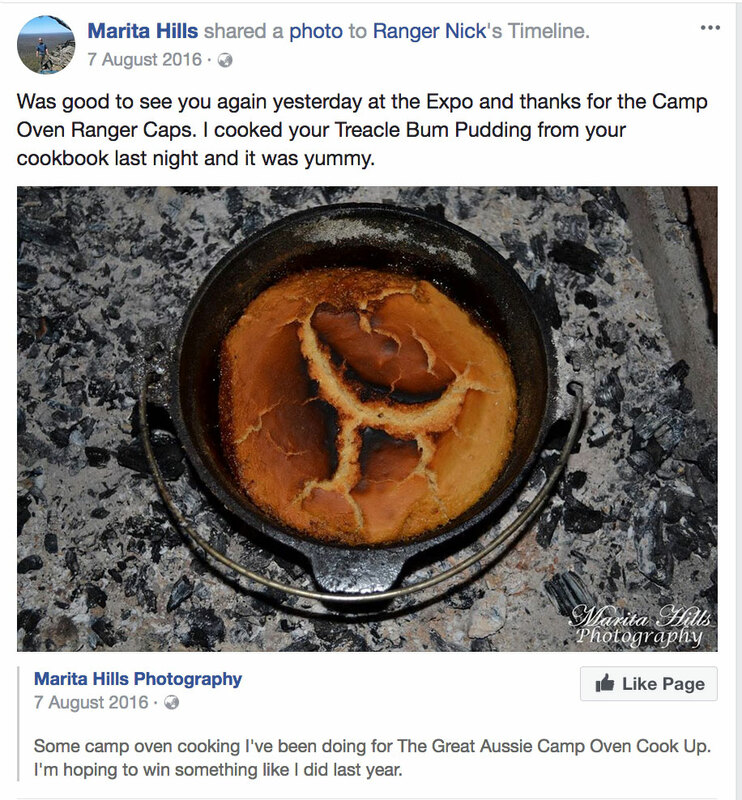 Often referred to as the "Guru" of camp oven cooking, Ranger Nick is the master of keeping it simple and has been demonstrating camp oven and bush cooking skills professionally since 2010, travelling the country and abroad. 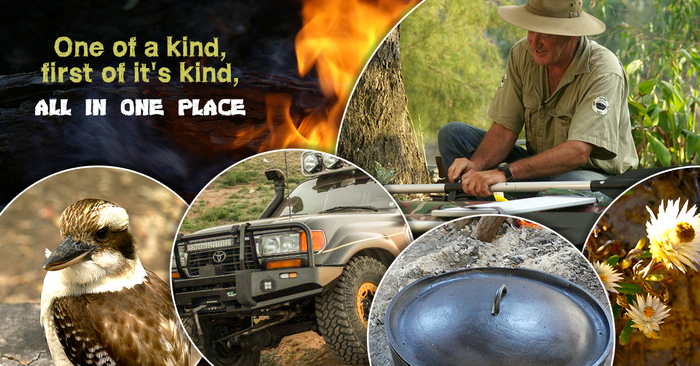 Coming from a large family, he whips up a cracker of a meal with whatever is in the tuckerbox. 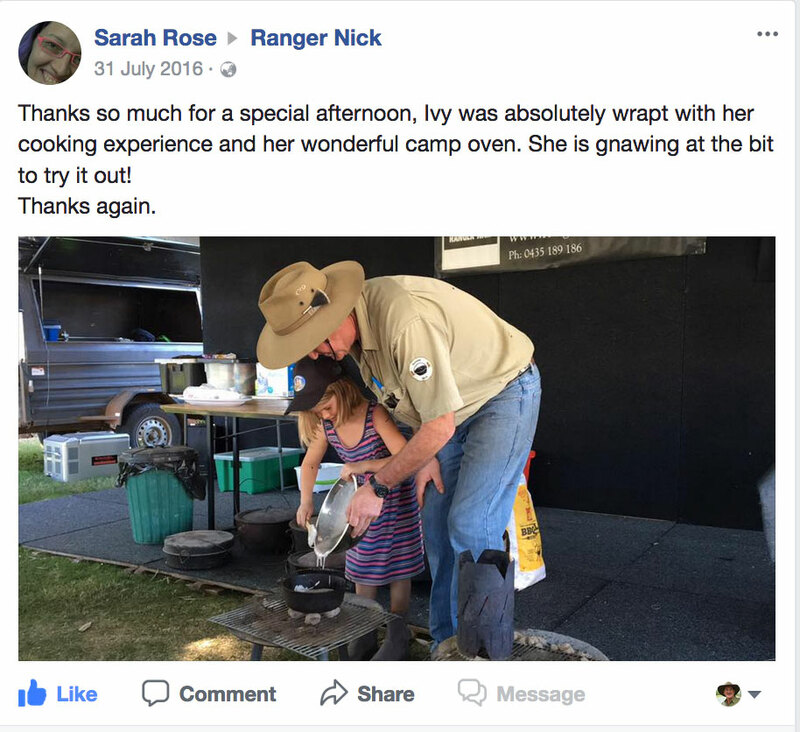 A previous environmental education support officer and Ranger Guide from outback Queensland, Ranger Nick is putting his bush skills to use wherever his travels take him. 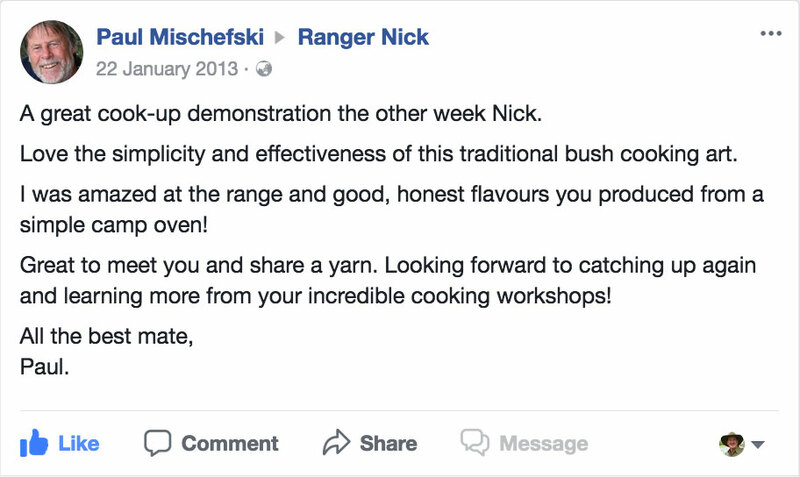 When he is not cooking up a storm in the camp oven, Ranger Nick passes on his knowledge to school groups and fellow adventurers, teaching them the art of bush survival, hunting and cooking. 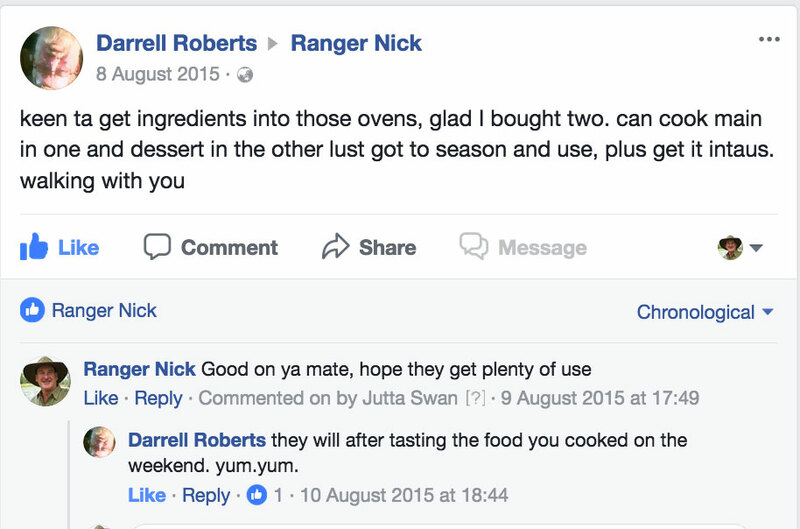 Considered a dinky-di Aussie character who walks his talk with no dull moments, Ranger Nick’s colloquial language and unique sense of humour have earned him the reputation of the entertaining Bush Cook. 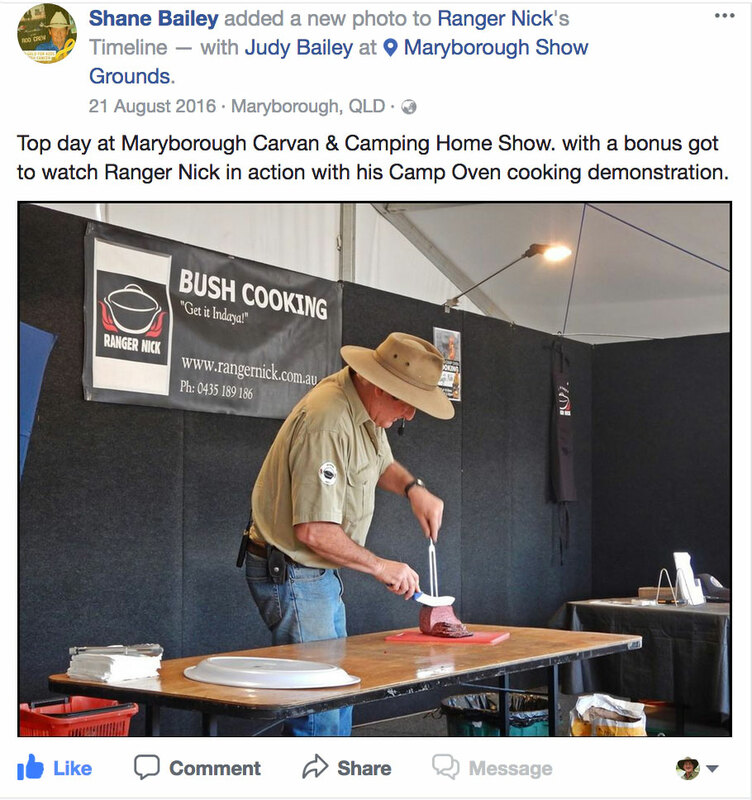 Keeping heritage and traditions alive, he combines educational information with bush poetry, yarns and ballads during his camp oven cooking demonstrations. 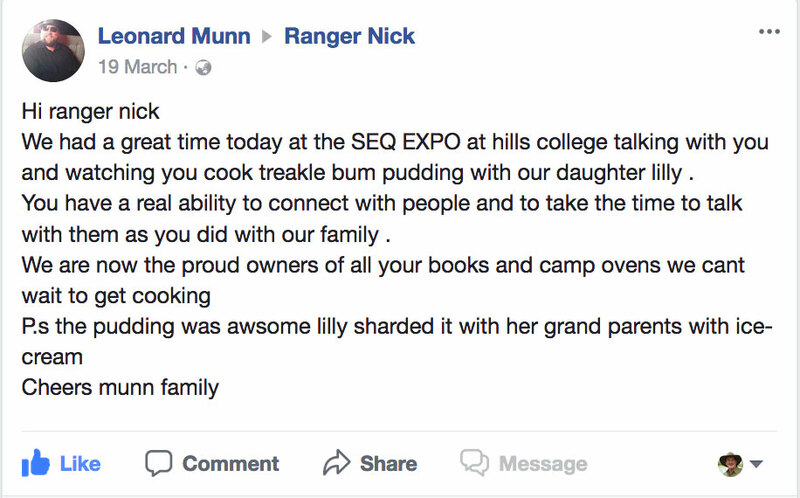 Appealing to young and old, he leaves a lasting impression wherever he goes and is a conversational point long after the show has finished. 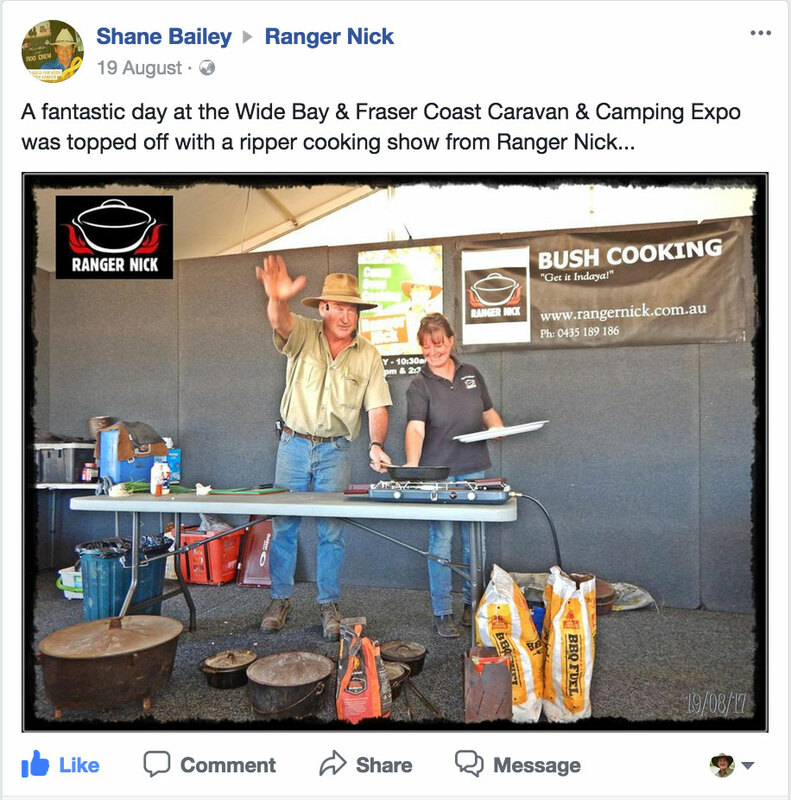 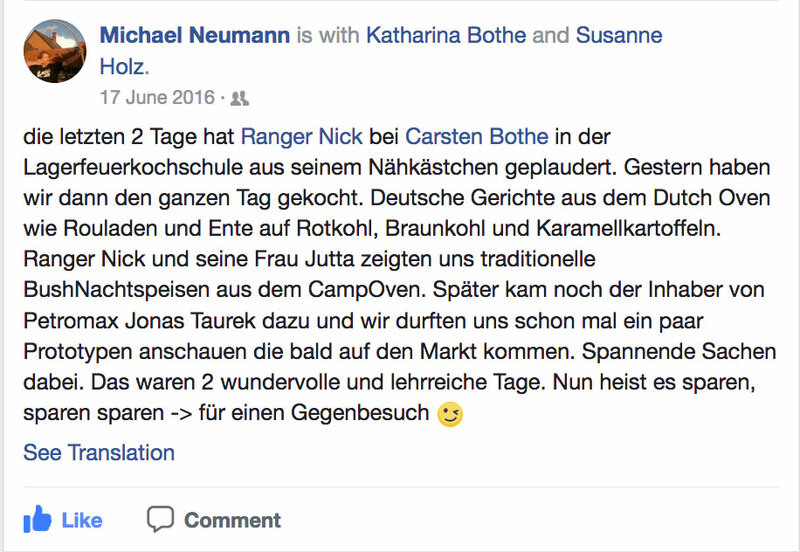 Ranger Nick has weekly segments on River 94.9FM, guest appearances on Merv’s Outdoors, is the author of two books, has released a DVD, developed a comprehensive Outdoor Training Program, frequently gets invited to judge at large camp oven cooking competitions, and represents the typical down to earth Aussie country bloke. 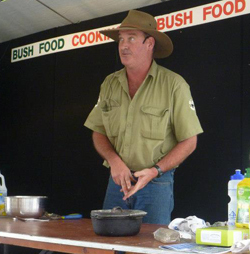 Ranger Nick is available to entertain at corporate and public events or private functions. 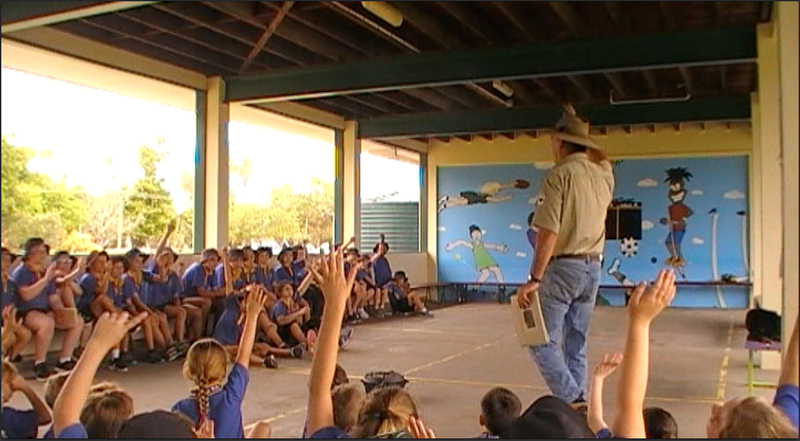 A true edutainer and real character, Ranger Nick draws crowds at his performances around the country. 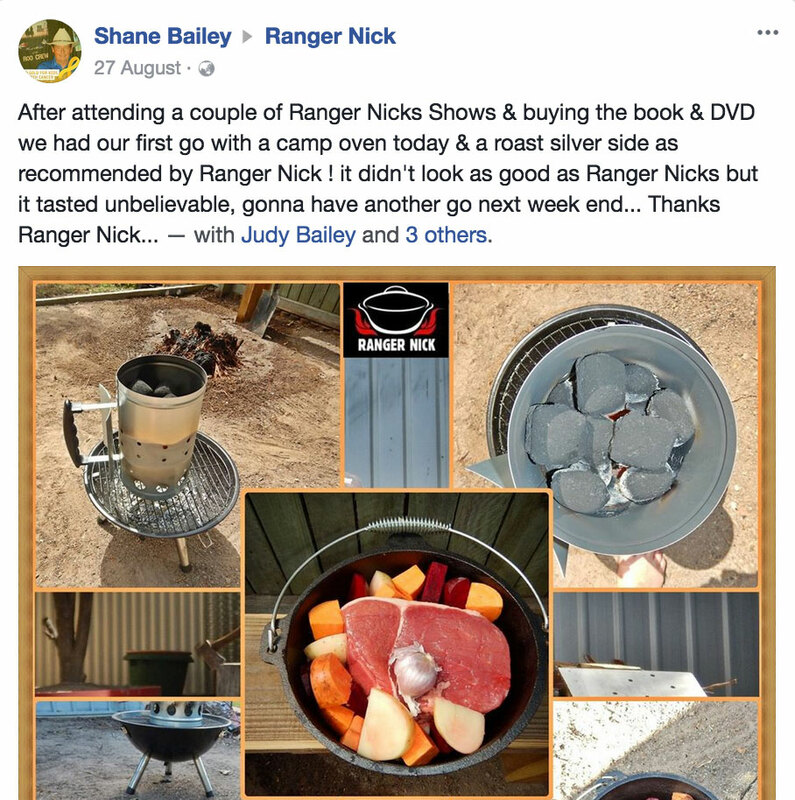 He will bring the outdoors into your kitchen at home, into the back yard, or show how to get out there and do it in style. 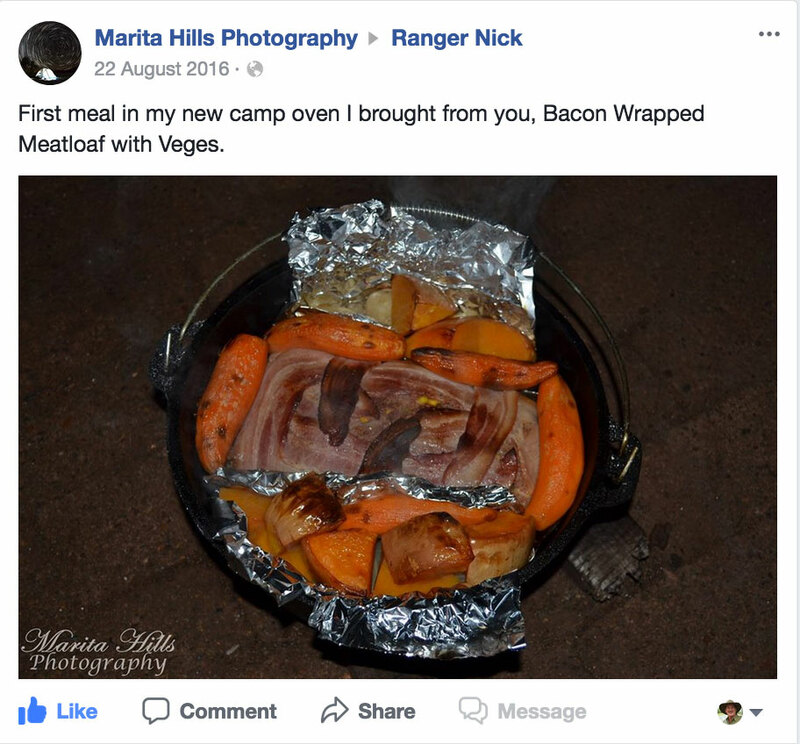 Learn everything you ever wanted to know about living and breathing the great outdoors for just $1.00! 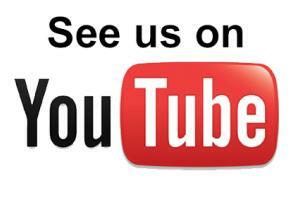 With all the computer nerds out there, I'll try to keep up... And listening to all the requests, comments, feedback and questions over the years, I'd like to ask you how I can assist with what you're looking for. 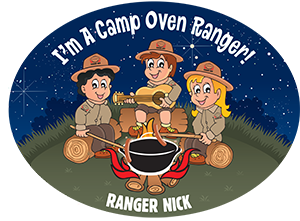 To see where Ranger Nick is at or to participate in one of this camp oven workshops, visit his Tour Schedule.For book signing events, check out the events calendar. 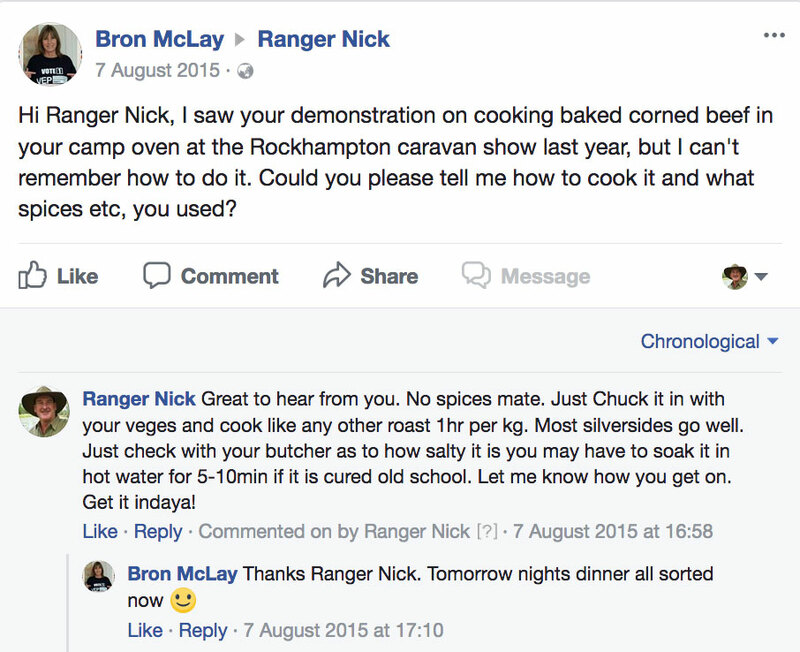 Ranger Nick at one of his popular cooking demonstrations, showing the art of camp oven cooking whilst entertaining the audience. 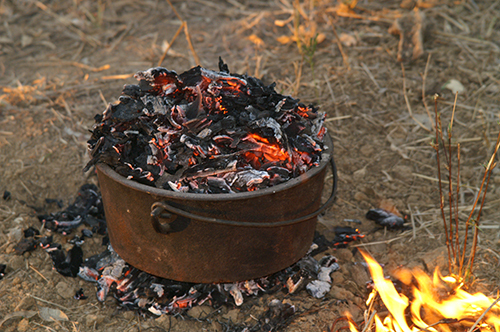 Ranger Nick uses a fire and hot coals for his cast iron cooking where possible, or Charcoal Briquettes depending on fire restrictions. 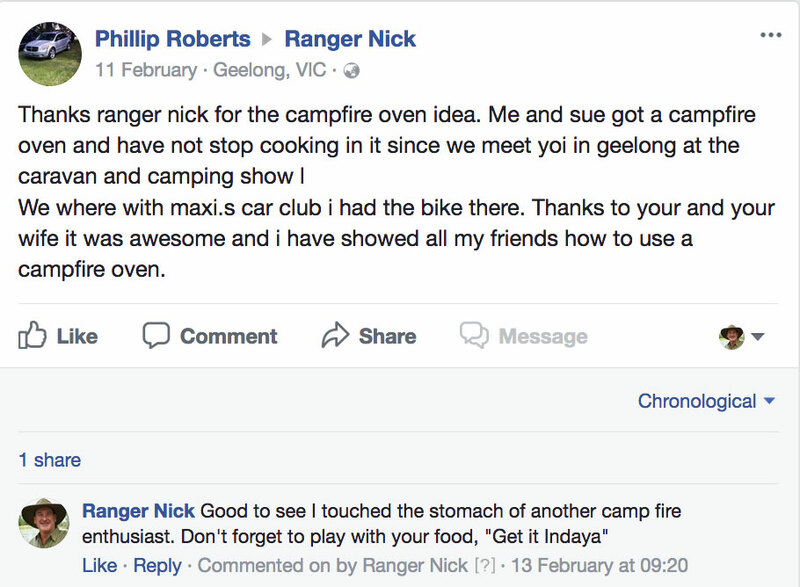 Ranger Nick's favourite quote: "Get it Indaya!" 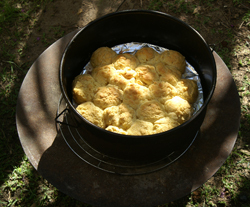 Camp oven (dutch oven) recipes are available in his cook books and on the Fan Club page.